The basic starting point in Thailand land law for a non Thai national to understand is that, subject to certain minor exceptions, a foreign national cannot legally own land in Thailand. It is however possible for a foreign national under Thailand condominium law to a condominium freehold provided ownership does not exceed 49% of the total floor space of all of the units in the building. Other options of obtaining land to use in Thailand include leasehold, rights of habitation, usufruct and superfies. 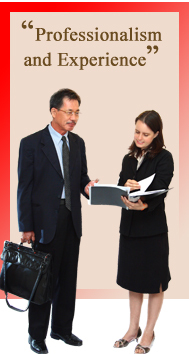 Until recently in Thailand real estate law, most attorneys considered that the ownership of land by a foreign national through a Thai Limited Company in which the non Thai foreign national held a minority interest, but effectively controlled the company through preferential voting rights and other legal mechanisms as a fairly standard procedure. However in recent years, the Thailand Land Department has become stricter in investigating limited companies for their use of the “nominee” Thai shareholders, who do not possess a bona fide interest in the company owning the land. The use of Thai nominees to hold shares on behalf of foreigners is a violation of the Thailand Foreign Business Act and the Thailand Land Law Code. It is possible however for a non-Thai to secure his investment in a Thai limited company through legal means.